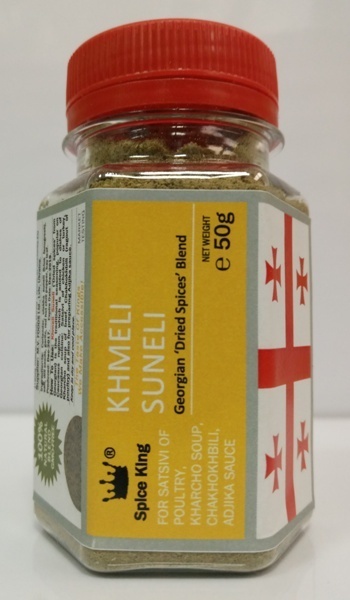 coriander, utsho-suneli (blue fenugreek), fennel seeds, garlic, red pepper, bay leaf and salt. 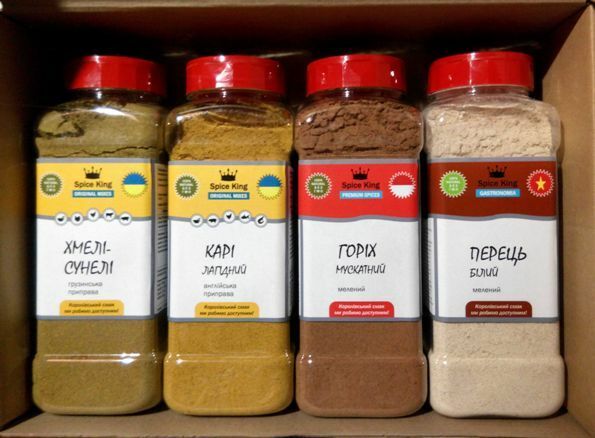 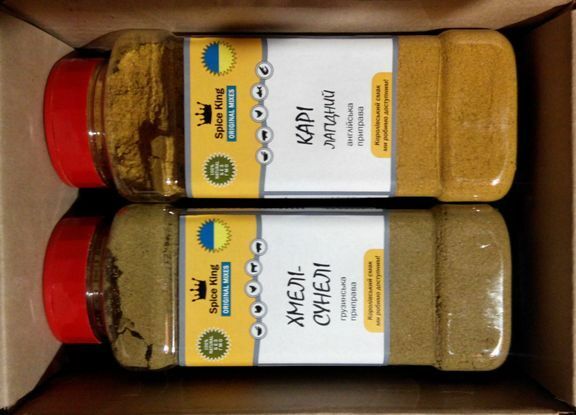 Khmeli-suneli is added to dishes of Georgian cuisine: satsivi, kharcho, chakhokhbili and is used to make adzhika seasoning both dry and sauce. 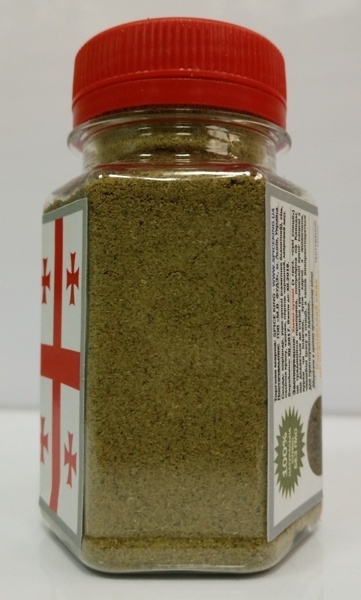 2x1L PET bottles - 1 kg net weight - USD 11.90/2bottles.